They have rights and may have a few options for obtaining compensation for their injuries and losses. They are not alone – Colorado Springs Hit-and-Run Attorney Kenneth Shakeshaft is here to fight for their rights and help them secure the justice and compensation to which they are likely entitled. In this blog series, we will take a closer look at some interesting information that you may want to know about hit-and-run accidents in the U.S. 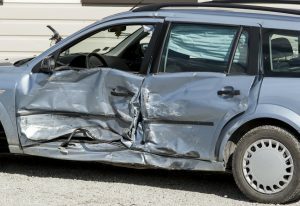 If, however, picking up the pieces after a hit-and-run is your primary concern at the moment, don’t hesitate to contact Attorney Kenneth Shakeshaft today to learn more about your best options for financial recovery. 1 – There has been a sharp increase in hit-and-run accidents over the last few years. These facts about hit-and-run accidents shed some light on the scope and impacts of these accidents. Contact us for help if you’ve been hurt in a hit-and-run. Unfortunately, the incidence of hit-and-runs in the U.S. has been on the rise in recent years, as data from the National Highway Traffic Safety Administration (NHTSA) has indicated. In particular, from 2009 through 2011 (the most recent years for which complete data is currently available), hit-and-runs in the U.S. increased by nearly 14 percent! 2 – Well over half of all fatal hit-and-run accidents have pedestrians as victims. About 60 percent of all hit-and-run deaths end up impacting pedestrians. About 20 percent (or 1 in 5) of all fatal pedestrian accidents are the result of hit-and-run accidents. Motorists are impaired (by alcohol and/or drugs), distracted and/or fatigued. Motorists simply fail to comply with traffic laws and exhibit safe driving behaviors like, for instance, stopping at stop signs and/or properly surveilling an intersection before proceeding through it. Road conditions are particularly poor, such as when signals are broken, roads lack nighttime lighting and/or there are insufficient signs to alert drivers to crosswalks. Pedestrians are unaware of their surroundings and/or fail to comply with traffic laws (like waiting for light changes before crossing streets in designated crosswalks). We will continue presenting some fascinating and important facts about hit-and-run accidents in two upcoming installments of this blog series – be sure to look for them! Have you or a loved one been hurt in a hit-and-run or in any type of traffic accident? If so, Colorado Springs Hit-and-Run Attorney Kenneth Shakeshaft is ready to advocate your rights, help you recover financially and ultimately help you put your life back together. For more than 30 years, Kenneth Shakeshaft has been providing people injured in traffic accidents with superior legal service, helping them secure the compensation and justice they deserve. To learn more about how Attorney Kenneth Shakeshaft can help you, schedule a free initial consultation with him by calling (719) 635-5886 or (800) 383-5886. You can also email our firm using the contact form on this page. We don’t get paid unless or until you get paid, so you have nothing to lose and everything to gain by contacting us today.